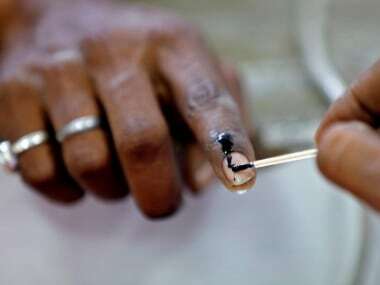 Agartala: Polling for the 40-seat assembly elections in the northeastern state of Mizoram began Monday amid tight security, officials said. The polling was brisk in most parts of the mountainous state. "Men and women dressed with their traditional clothing in large numbers queued up in front of polling stations well before voting opened at 7 a.m. in the entire state. 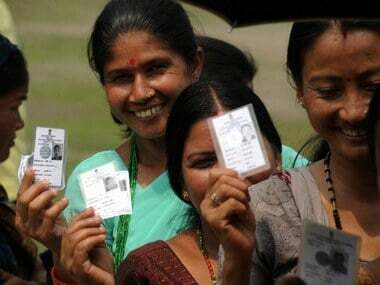 Polling ends at 4 p.m.," said a Mizoram election department official. Of the 40 assembly seats, 39 are reserved for tribals. One seat is for general category. Counting of votes will be taken up Dec 9. 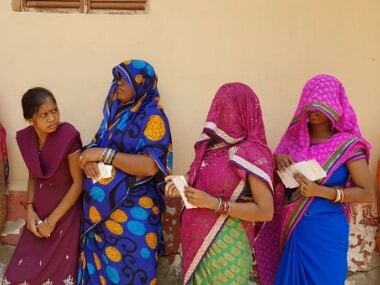 Of the state's population of 10.91 lakh, around 6.91 lakh, including 3.5 lakh women, are eligible to vote and decide the fate of the 142 candidates in the fray. Among the 142 aspirants, six are women and hardly any new faces. In all 1,126 polling stations have been set up across the state to hold the elections in the state that share borders with Myanmar (404 km) and Bangladesh (318 km). A newly-designed device-Voter-Verified Paper Audit Trail (VVPAT), which confirms to a voter that his or her vote was cast as wished, will be used for the first time in a general election in the country. "The VVPAT attached EVMs (Electronic Voting Machine) would be used in 10 of the 40 assembly segments of Mizoram," the official added. The main poll battle would be held between the ruling Congress and the three-party opposition grouping Mizoram Democratic Alliance (MDA), dominated by the MNF, which is headed by former chief minister Zoramthanga. 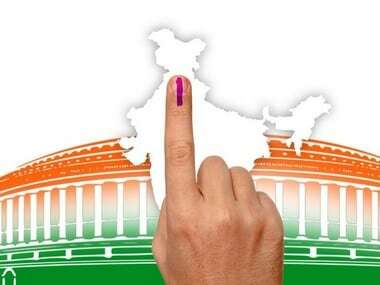 The Election Commission of India (ECI) has appointed 44 senior officials as general, expenditure, police and awareness observers to oversee the polling and related matters. Even though there is no major security threat from separatist outfits and Mizoram remained peaceful during the month-long electioneering, around 7,000 para-military, state and other security personnel have been deployed to ensure free and fair polls in the state. 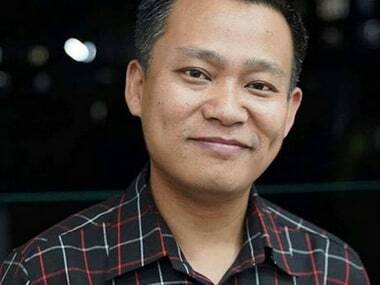 Christians and tribal-dominated Mizoram witnessed peaceful campaigning under a close watch of the powerful Church-controlled Mizoram People's Forum (MPF), a non-government election watchdog. Like in previous elections, the MPF had set some dos and don'ts for political parties. Mizoram Police chief Amulya Patnaik said that during the campaigning, not a single untoward incident was reported from anywhere in the state. Unlike in other parts of the country, the campaign mostly centered on the common platforms organised by the MPF, where all candidates of a particular assembly segment debated poll issues, development work and other matters. The people assembled at these debate centres and straightway asked questions to the candidates from various political parties and independents. The main political parties in the poll arena are the ruling Congress, led by Chief Minister Lal Thanhawla, and the three-party opposition Mizoram Democratic Alliance (MDA), dominated by the MNF, which is headed by former chief minister Zoramthanga. The other two poll partners of the MDA are Mizoram People's Conference (MPC) and Maraland Democratic Front, both local parties. The Bharatiya Janata Party, Zoram Nationalist Party and the Nationalist Congress Party are also separately contesting the state elections, fielding candidates in many seats. Monday's vote would decide the fate of Chief Minister Lal Thanhawla, his eleven cabinet colleagues, Mizoram Women's Congress chief Tlangthanmawii and former chief minister and MNF president Zoramthanga. Lal Thanhawla, also state Congress chief, is contesting from two constituencies-Serchhip, his home turf, and neighbouring Hrangturzo and opposition MNF chief Zoramthanga is trying his electoral fortune from Tuipui East bordering Myanmar. The Congress-led Mizoram government's flagship programme New Land Use Policy (NLUP) aiming to alleviate poverty and settle farming, the proposed Special Economic Development Programme of the MDA and local issues figured prominently during their campaigns. Prime Minister Manmohan Singh, Congress president Sonia Gandhi and party vice-president Rahul Gandhi campaigned for the ruling party in the state. The Mizoram poll was earlier scheduled for Dec 4 and the counting of votes was scheduled for Dec 8. But the ECI rescheduled the dates following the request of the church and the local political parties to allow the voters to go to church Sunday and to celebrate a local festival. During the last assembly elections in December 2008, the Congress won 32 seats, the MNF three and the MDF one. The MPC and ZNP got two seats each. The MNF, which ruled the state for 10 years till 2008, is the principal opposition party.